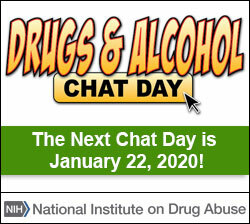 Remind teens about the dangers of drugs with a listicle about DrugFacts using NIDA’s resources. For example, you can create a list of 10 reasons why you should stay away from alcohol or nicotine! Image is from Drugs: SHATTER THE MYTHS.